It is right that you feel sickened and angry. It is right that you struggle to know what to do. We all do. Scripture tells us that in the diminishment or suffering of one the whole church suffers. We are enjoined to weep with those who weep and to mourn with those who mourn. Today, we mourn and we weep with our brothers and sisters at Mother Emmanuel and all of Charleston. Many priests, lay persons and friends from across the area and the country have contacted me wondering how to respond in a meaningful way. Some will have gathered at Morris Brown AME Church for the prayer vigil this afternoon. Others will be gathering at The Cathedral Church of St. Luke and St. Paul for prayer. 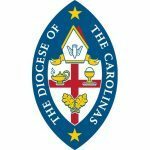 We, St. Andrew’s and the Diocese of the Carolinas will seek God’s face for wisdom and discernment as we seek to respond and act of agents of hope and reconciliation. In these times one may ask, where is God? And the reply is, on the cross. For there he demonstrated once and for all his love for this sinful and broken world and he has promised us that he has not – nor will he – abandoned His world.